The California Scottish Rite Foundation provides life-changing speech, language, and literacy treatment of childhood language disorders at 14 RiteCare Childhood Language Centers in communities across California, free of charge. The Foundation also provides a wide variety of scholarship assistance for California students pursuing undergraduate and graduate degrees. The Americanism Program provides support services for California’s military Veterans by partnering with trusted organizations to provide funding for job training, legal services and temporary housing for Veterans in need. The California Scottish Rite Foundation will subsidize the efforts of the Scottish Rite Masons in California to distribute to the elementary and secondary school students these fine books on Americanism. Each year dedicated brethren deliver thousands of books throughout the public education system without cost to the schools. The Foundation has recently expanded its’ Americanism Program to include assistance to Veterans and the organizations that provide aid to our Nations Heroes and Heroines. GuideStar is the world’s largest source of information on non-profits. 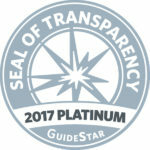 Please visit our GuideStar Profile Page by clicking on the GuideStar Seal below.